The Rug Warehouse's exquisite collection of broadloom rugs offers a subtle or boldcustomizable complement to your decor. Our solid colors set a calming foundation, while our abstract and geometric patterns provide increased visual interest. Made from natural, renewable fibers such as wool and jute, we offer a panoply of hues and textures in both area and runner carpets. 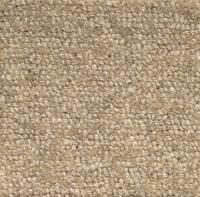 You can be assured that you are purchasing the highest quality carpeting available. We cordially invite you to visit our stunning Los Angeles showroom today to see our impressive collection of carpeting.